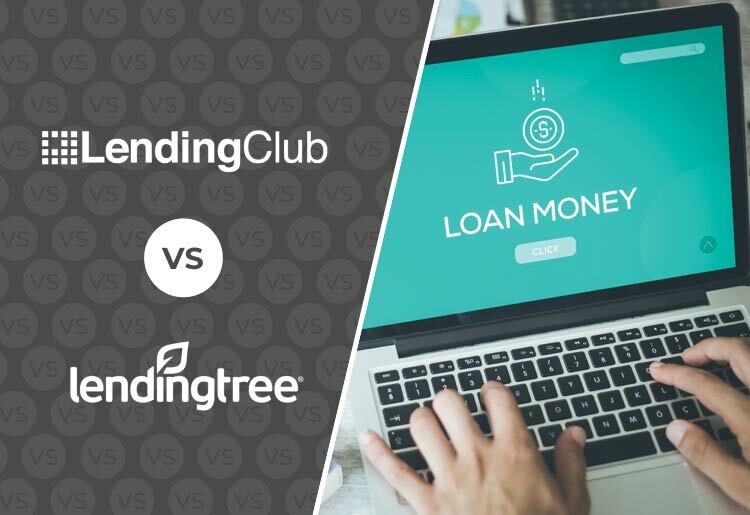 LendingTree vs Lending Club: Which Loan Company is Best for You? LendingTree vs LendingClub - Which is the Better Loan Company? Life can throw us all types of surprises, and sometimes we need a little financial help to get all our ducks in a row. Whatever the reason, with online lending there are more avenues than ever for everyday people to receive loans without having to go through the traditional financial institutions. And with online lending, less than ideal credit isn’t a deal-breaker, nor is a lack of collateral. But where should you go if you’re looking to secure an online loan? The industry is booming and options abound, but it’s usually best to go with a company with a proven track record. Two industry leaders - LendingTree and LendingClub - can facilitate loans for borrowers with less-than-great credit and here we put the companies head to head to see which is the better option. For over 2 decades, LendingTree has facilitated online loans for borrowers. You give LendingTree your details and it casts a wide net over a network of lenders to find loans that work for you. The company can help find loans ranging from small unsecured loans to larger secured loans in the tens of thousands of dollars. And since the lenders are competing with each other for your business, you should be able to find some good terms here. LendingClub facilitates all types of flexible loans ranging from $1,000 to $40,000 and has received high marks for customer service. The online application process is kept very simple, and should only take a few minutes to complete. Let's compare the most important features to see which company is better for your needs. The annual percentage rate (APR) is a figure that represents the actual yearly cost of the loan. The figure takes into account the interest rate as well as any other fees. Neither LendingTree nor LendingClub are financial institutions in their own right, but both companies facilitate loans that vary widely in terms of APR. With both companies, the range of APR is virtually the same. LendingTree can find loans that typically come with an APR of 3.99% - 35.99% and on LendingClub the range is typically 6.95% - 35.89% ***. While both companies have competative APR ranges, on LendingTree there are fewer fees than on LendingClub, which charges an origination fee of 1-6%, as well as late payment fees and check processing fees. One of the main draws of online lenders is that they tend to be somewhat less strict than traditional financial institutions when it comes to loan requirements. This is especially true when it comes to credit. Bad credit, or even just a credit score that is less than “good” - anything from 699 down - can be a deal-breaker for many banks, thus keeping many potential borrowers out of the game. On LendingTree’s website, the company advertises that those looking to attain a personal loan typically need to have a minimum credit score of 640-750. Lending Club prides itself on working with borrowers with lower credit, even as low as 600, which would be in the “poor” category. The company also offers a joint application process, in which borrowers can apply for a loan that is co-signed by someone with better credit. The co-signer has to have a credit score of 600 or more, but the borrower can have a score as low as 540. With these type of loans you tend to get a high interest rate and it's definitely worth it to try to improve your credit score before applying for a loan. LendingClub allows for more leeway when it comes to credit scores, and by facilitating co-signed loans, people who would not be able to find loans elsewhere can do so with this company. Online lenders have the advantage of offering a simple, straightforward application process. Instead of arranging multiple meetings at your bank you can fill out the forms online from the comfort of your own home and get loan offers within minutes. With LendingTree you fill out a single application that pre-qualifies you for a number of different loans during which you’ll have to provide information on your income level and housing status. In addition, it doesn’t include a hard credit pull, so you don't have to worry about any damage to your credit score. Approval typically takes only a few minutes, after which you will receive at least 5 loan options. After picking the one you prefer, you will then be taken to finish applying directly with the lender you selected. LendingClub also offers a quick online application process that asks you similar questions as well as the size of the loan you're asking for. It’s followed by a soft credit pull, after which the company will give you a “grade”, which determines what type of loan offers you will get and from which lenders. Borrowers can potentially receive a number of loan offers simultaneously, which they can compare against one another in order to get the best terms available. Both companies offer an application process that is simple and straightforward, but LendingTree’s is potentially quicker and easier, and unlike on LendingClub, you won’t be assigned a grade that only lenders can see. LendingTree has extensive customer service options including a toll free phone line that the company answers 7 days a week from morning until evening. There is also an online form and the company's support staff typically answer queries within 24 hours, and a similar response time was reported for email inquiries. While the company doesn’t have an FAQ section on its website, there are plenty of informative articles about loans, personal finances, mortgages and credit. LendingClub has toll-free customer support available from Monday to Friday 6am to 5pm Pacific Standard Time, and on Saturdays from 8am to 5pm Pacific Time. The company also provides a large amount of resources online in a searchable FAQ section where you can learn the ins and outs of loans and personal finances. A live chat option is missing from both companies, but LendingClub has a more extensive online knowledge base through its FAQ section, where you should be able to find more answers than on LendingTree. Both LendingTree and LendingClub give you some pretty healthy leeway when it comes to the size of the loans you can find. On LendingTree, you can find personal loans ranging from $1,000 to $35,000, as well as business loans from $2,000 to $1 million. On LendingClub, personal loans range from $1,000 to $40,000, and business loans from $5,000 to $300,000. On LendingTree, repayment plans typically range between 3-180 months, while on LendingClub, they range from 36-60 months. That said, when it comes to the size of the loan and the repayment terms, that will depend on a number of factors, including your credit, income, and other outstanding debts. Nonetheless, both companies can facilitate a wide range of loan amounts and repayment terms. Both sites have enough options that you should be able to find a loan that works for you. Still, we found that with LendingTree there was a higher ceiling (on business loans) and a much wider span of repayment options. Online lending has been a real boon for borrowers who would have otherwise been turned away if their only option was a traditional financial institution. When deciding between LendingTree or LendingClub, it's important to remember that LendingTree has been an industry leader for more than two decades, facilitating loans to countless customers of all types, through an easy, 1-form application that is instantly sent out to multiple lenders. Though it doesn’t have the pedigree of LendingTree, LendingClub is a highly-flexible loan marketplace that is easy to navigate and provides solid customer service. It also is a better option than LendingTree for customers with low credit. Both companies have similar average APRs and loan ranges, though LendingTree has more flexibility in their loan terms. Ultimately it depends on your needs and the results you get when you fill out your online application. For our money though, both are very solid options, but LendingTree wins this head-to-head due to its wider range of loan amounts and repayment schedules, and easier application process.